At Love Limos we are pleased to offer executive car hire in Essex and limo hire in Essex, as well as throughout the surrounding areas. We have some of the finest limos and executive cars in the country including limos, prestigious cars and and even a stretch Ferrari limo. 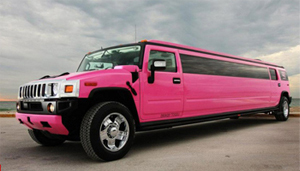 If you are looking for Limo Hire in Essex then look no further than Love Limos. 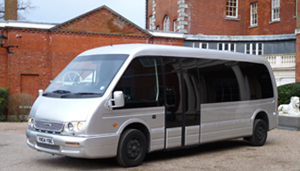 With years of experience in the Limo Hire industry you know you can trust us to deliver the very best service whatever the occasion, we can offer our services not only in Essex but in surrounding counties. We pride ourselves in being innovators in the limousine industry as we are always on the lookout for something unique to add to our extraordinary fleet of executive cars and limousines. With that being said, you know you're booking with a company you can trust to help you to arrive in style. 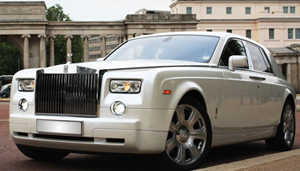 For Limo Hire in Essex, you know you can turn to Love Limos. With so many firms out there offering a similar service, price shouldn't be the only deciding factor when choosing a firm to go with. Our Chauffeurs are all polite and conscientious and have a wide knowledge of the local areas in Essex meaning you can sit back and relax and know you're travelling in style and safe hands. All chauffeurs have been CRB checked and guarantee a personal and friendly service, as well as being immaculately presented in their uniforms. We provide limo hire and executive car hire for all occasions, including day and night, weddings, proms, hen and stag nights, corporate travel and other special occasions. Our hired limousines come with complimentary drinks so you can sit back and relax in style, or even work on the go. We have the goal of not only giving you a fantastic car to hire but we want you to travel in luxury and feel relaxed and comfortable as you are chauffeured to your desired destinations. We also have the aim of turning heads as you go about your business and give off a great first impression or amaze guests at events. The chauffeurs in our fleet are available 24 hours a day and our cars can cater to any budget. With block bookings available, including great discounts, you can easily book your stag and hen cars at the same time as you book your wedding cars. We are fully insured and fully licensed by both the council and VOSA to serve as a limo hire and executive travel company throughout Essex, London, Hertfordshire and the surrounding counties. We have the highest of standards in our fleet and make sure every limo, wedding car or corporate vehicle is maintained to the highest of standards, internally, externally and mechanically as well as having all relevant and required SVA/COIF certificates.